Is it still a road trip when you do it by rail? However, the fact remains that I’m on my way home from a road/rail trip to Scotland. 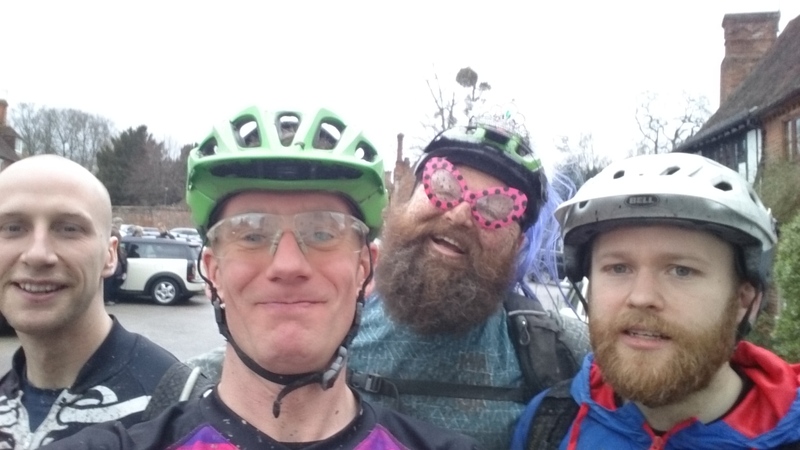 Diaries aligned, opportunities arose and I managed to blag three days of bike-based fun north of the border. In the “good old days” when no-one had any responsibilities this would have been the excuse for riding dawn to dusk (which isn’t very long in Edinburgh in November) in search of trails, “one last run” in the gloaming before heading home for a massive pile of food and some beers sharing tails of close shaves and massively-exaggerated gnarliness. Now, people all have commitments to work and, more importantly, small people so riding time is compressed. So it was that I set out with Ross for a ride that as to last no longer than the window of opportunity afforded by in-law babysitting. Oh, and the car had gone to a hen-do so we were riding from the door. Initial plans to hit the Pentlands were rapidly scotched by the time taken to ride there. Instead we planned to hit some “probably-maybe” spots that we’d scoped within the city. We’d ride over along the disused railway, a couple of parks and the Water of Leith. We had no idea what we were going to find but we were going to ride for about three and a half hours. 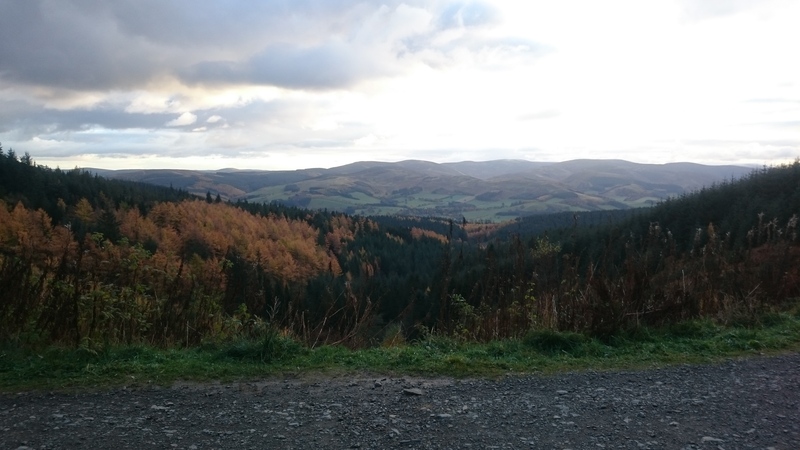 In some ways it was like the rides I used to do when I was back at school: get out in the evening, hit a few bits of trail and then head home for a late tea (or late for tea). It was a great crack. For much of the journey we threaded our way through the city as though it wasn’t there. The autumn leaves and the sensation of having snuck out for a ride made for a feeling of escape. After about five minutes I had no idea where I was. It was great. Eventually we arrived at our chosen spot and set about trying to find something worth riding in the old golf course (bless Scotland’s enlightened access laws). A few bits and pieces were dispatched with a degree of “well, it’s alright” before I spotted a likely looking bit of path and dropped in. After the initial roll-in I was faced with a choice between the high line which was quite churned & off-camber and the low line a slightly incised path. I chose the low road. I’ve made better choices. The path ran into a gorse funnel that quickly became narrower than my bike and I ground to a prickly halt. Ross bombed past, laughing at me. Around the corner I heard the scrape of a back tyre locking up and more giggling. So I lifted the bike up and dropped in again. When I got to the corner I saw the issue. A sudden left-hand corner on a narrow trail with a basket of gorse to catch you. I could see Ross’ tyre scrape. I got round it and plunged into the gully path below. This turned quickly into a series of rock-rolls and loose corners. It wasn’t particularly long, or particularly steep but it was a tremendous blast for the forty-five seconds it took to get down. There were grins all round. It was all the more sweet for never having left the city. This was right under people’s noses. We scoped around, played and tried a few things that didn’t work. Then we found another likely-looking line from the top of the hill. It was steep enough that I had a quick stroll down before committing. It was steep, loose and really quite twisty. I wasn’t entirely sure it would go. Only one way to find out though so I dropped in. It was a little loose on the way down and on at least one occasion I could feel my back wheel lift off the ground, then I had to tripod around a hairpin with my foot on the ground to make sure I didn’t disappear into yet more gorse. By the time I got to the bottom, I still wasn’t sure it would go. That didn’t stop the grins. A look at the watch revealed there was time for one last run before turning for home. So we opted for another run of the loose rocky descent. This time it was nailed flat-out from the top, choosing better lines, hitting corners faster and skittering across the loose rocks. The fist-pump at the bottom was only semi-ironic. In Hampshire, this bit of trail would something you’d build a ride around. In the proper hills outside Edinburgh it would be unremarkable. Right here and right now, it was trail gold. It was also time to ride home to feed tired legs and, probably, tired children. All the way home we chatted away. We’d had just under four hours, and we’d managed to find genuinely good riding within the city bypass. There was also the feeling that a more concerted perusal of the map would probably reveal more. Lunch was despatched while chewing over the ride and pondering how to do it better next time. 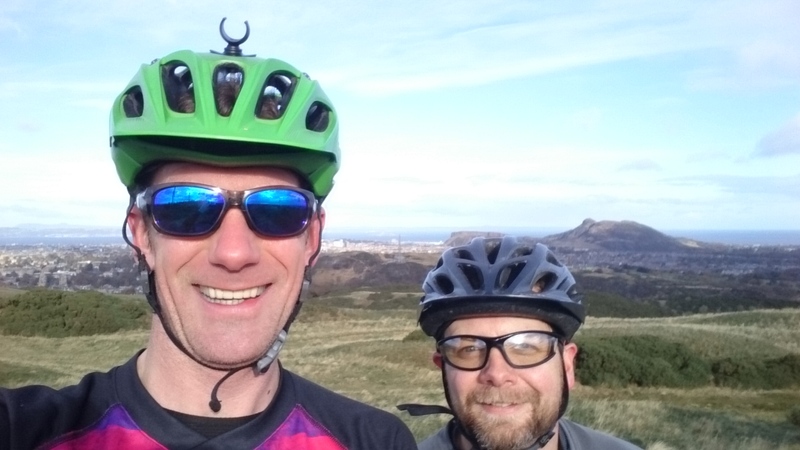 Edinburgh may be blessed with considerable gradient but we spent all of about twenty minutes planning the ride and still found something worthwhile. It goes to show that, with a little thought and imagination, worthwhile riding can probably be found in most places. You’ll be surprised by how good some of it is, but you will have to look in some odd places. So the message of this story is: get out and ride. All time in the saddle is better than none. The ride closes with the drop from the top of the down. 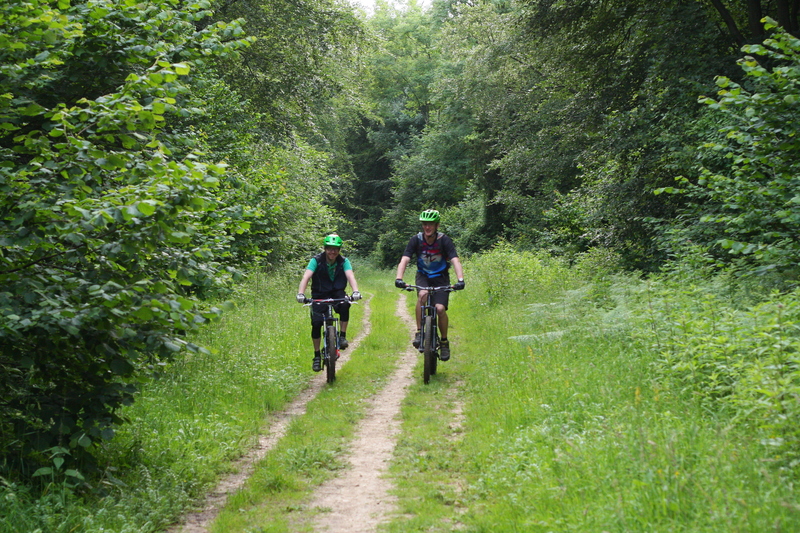 This hollow way is a brilliant bit of trail with just the right amount of slope to make the drop a huge amount of fun. It’s on Friday 22nd July at 10am. Ride down for about 20 metres, wham on anchors, get off, push back up. Ride down again for about 20 metres, avoid lady in undergrowth, wham on anchors, get off, push back up. Ride down again for about 20 metres, try not to gurn or stick thinking tongue out as I go past the lady lying on the floor, wham on anchors, get off, push back up. Load bike into car, drive to next spot, repeat. It’s a lovely, sunny, warm, early spring day and I’m out for a ride. What could be better? Well, maybe riding more than 20 metres at a go for a start. Why on earth am I doing this? More importantly, why is there a lady lying in the undergrowth? I promise, there’s nothing nefarious going on. When I first put the website together I went through all the photos I’d accumulated over the years and found they were all taken by me. Thus I appeared in none of them, barring selfies of my face covered in mud. In order to get photos of me riding I needed a photographer to take them. Now, where to find one? Actually, that bit was easy: my mother is a photographer looking to turn professional. It was a perfect match. I had a good long think about where to go, which trails might create interesting shapes and dynamic-looking riding. I had loads of ideas so I went out and scoped them, taking photos of the bits that looked best and put together an itinerary. Thus I found myself out in some of my local haunts sessioning incredibly short sections of trail. We walked around looking for those places where interesting trail met useful light for photographs. Suddenly, my long list of spots became much shorter as I discarded the ones that were too deep in shade, and the ones where the light was coming from the wrong angle, and the ones where there was nowhere to sit to get the shots. The list came down to a small handful. I can see now why magazine shots all seem to be in similar places: they know where they can reliably get good photos of riding. Not only that but riding for a photographer is very different from riding for fun. It really is a case of riding just far enough to get up to speed, blasting past the camera and then stopping. Not only that but I found I really needed to exaggerate the forms I was making on the bike or it looked like I was standing still. I also discovered that riding repeatedly about six inches from someone’s very expensive camera is quite stressful: there’s no margin for error. Not only that but, as she was lying on the floor for the best angle, I couldn’t even look at her as her head was at axle height: a bad place to be looking when you’re riding. Just ride the right line and assume you’re not going to clobber her lens. Looking back up the path I could see endless tyre tracks and they were all mine. It was not riding as I know it. It was also really, really revealing of bad technique where my weight was in the wrong place or I was looking the wrong way. It was, nonetheless a lot of fun, carving the shapes I’ve seen in magazines and adverts, giving it large if you will. 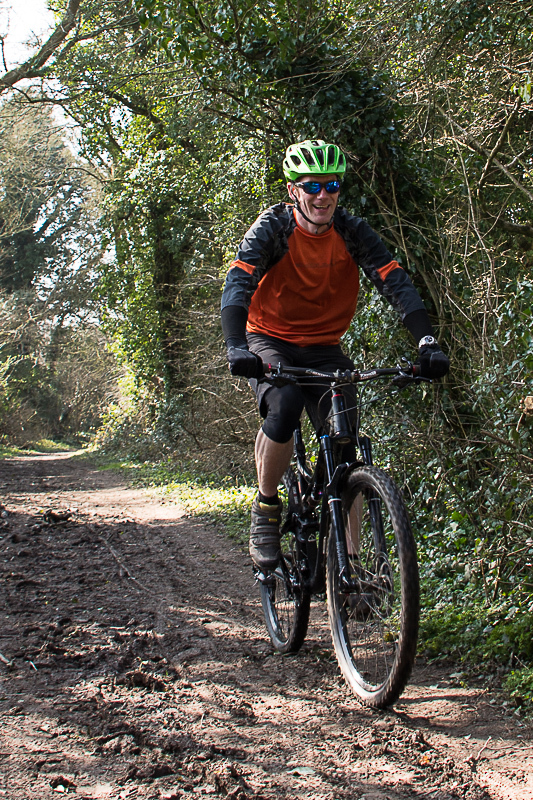 I was also getting something out of riding the same corner over and over again to get the right pose, adjusting my line slightly, adjusting my posture slightly, adjusting my speed slightly rather than just riding it once and heading off to the next trail. “Why are all the places in the woods?” I’d not really thought about it before but all the good, twisty bits of singletrack were in trees. Individually, they made great shots but, after a while, it all looked a bit the same. Oh, and one of my favourite riding jerseys is rubbish for the camera. I’m really pleased with the results. For a first time rider in front of a first time photographer, we got some really good stuff. They’ll be gracing the website and social media before long. I’m under no illusions though: we’ve both got a lot to learn. It’s going to be a lot of fun. In my case I need to learn not to stick my tongue out when riding!